When you have taken the decision to start a boarding cattery you will need to consider how you will fund the building and setting up costs. Business financing can be a difficult subject with all the associated costs and projected income taken into account. You might find it difficult to borrow the money and consider using your own savings. The cost of setting up the business will depend on the size and structure that you hope to have. Depending on how you intend to fund your project you may have to start smaller than anticipated and expand once you are established. Providing that you have planning permission this should not present a problem. If you have some savings of your own, you can of course consider using them or a part of them to finance your business. Firstly you will need to have all the costing in place before you will even know if you have enough cash to proceed. When you consider funding the project with your own savings you should take into account the length of time before you are likely to see any return on your money. What rate of interest is your money currently earning for you? Would you be better off borrowing the money to finance your business and leaving your savings where they are? What About Day to Day Costs? You must also consider how you will be able to live from day to day while your business is building up. Will you need your savings as a back-up? A cattery business needs time to get established and while that is happening you will have bills to pay. The ideal scenario would be if the wife or partner in a relationship is able to concentrate on the cattery while the other one can continue with their day job and support the home and pay the necessary bills. In a case such as this it would probably be advantageous to use whatever savings you can spare. 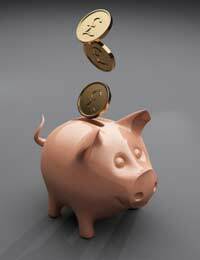 Whatever your financial situation it is always a good feeling to have some money saved for a rainy day. Starting a boarding cattery will not automatically guarantee a good income. Providing you have done your homework as regards location and potential client base, you should with time, earn what will be a moderate income. If you are fortunate enough to be in an area with year round trade you will not have many lean months. The fact is that most boarding establishments need to make most of their yearly income in a few months of the year. When you are just starting out in the business you may find that you need your savings to see you through the lean months until the next busy period. So do not use all of your savings to fund your business set up costs, leave yourself with a cushion, this should help you to feel less vulnerable if it takes longer than anticipated to attract those all important clients.